Give your kitchen a stylish makeover with this Alpine Round Hi-Rise Kitchen Sink Mixer. Featuring an elegant round design with an ergonomic handle, this kitchen mixer offers the perfect balance of aesthetics and functionality. It has been designed for easy installation in your kitchen. 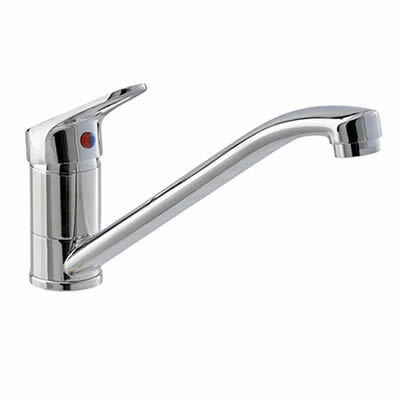 Available in a durable chrome finish, the Round Hi-Rise Kitchen Sink Mixer features an easy to use hi-rise swivel spout. 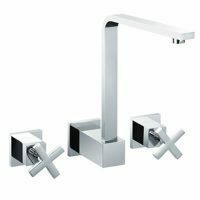 Its solid brass construction ensures long-life, while the chrome finish ensures flawless looks, even after many years of usage. This 2 Watermark approved piece of tapware can be used with both hot and cold water hoses. It is also equipped with a ceramic disc mixer cartridge, which allows precise control over water temperature and flow. Water consumption of this kitchen mixer is rated at 6.5 litres per minute. 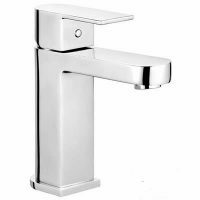 Alpine offers an impressive 5 year guarantee on the tap body, a 2 year guarantee on the cartridge and a 1 year guarantee on the finish just go to show the quality of this product. Enjoy a sensual experience in your kitchen with this elegant Alpine Sink Mixer. Buy this kitchen mixer from Ross’s Discount Home Centre at the best possible price!